From the time of the apostles, the church has been fre­quently assailed by false teachers, making it necessary for pas­tors to contend for the faith once for all delivered to the saints, being men of sound doctrine, able to refute those who contradict it (Jude 3; Titus 1:9). Since the 1970s, the church has been troubled by false doctrine known as ‘New Covenant Theology’, in which we encounter a clus­ter of fundamental errors, previously propounded by Anabaptists of the 16th century, who were steadfastly opposed and clearly refuted by John Calvin (Institutes of the Christian Religion, 1559, 2.10–11). New Covenant Theology denies the unity of the Bible, errone­ously asserting radical discontinuity between the Old Testament and the New. It perverts covenant theology, reducing God’s prom­ises to Abraham to promises of material blessing only. It misrep­resents God’s covenant with Israel under Moses as being a cov­enant of works and devoid of grace. It denies that Israel was truly God’s church, reducing it to a mere foreshadowing of the church of Christ. New Covenant Theology rejects the distinction between moral, ceremonial, and civil law, and teaches that the ten com­mandments are abolished under the new covenant. Torturing the text of the New Testament, it undermines the preaching of the gos­pel, and sanctification. It spurns the creeds and Reformed confes­sions of faith. 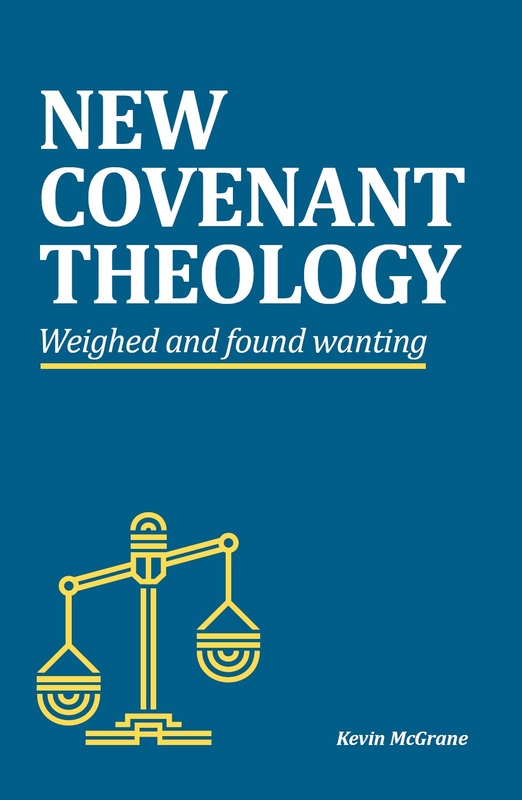 The title of the present work, New Covenant Theology Weighed and Found Wanting, sums up its contents accurately. The serious Christian reader, who desires a safe path through the minefield of error that is New Covenant Theology, will surely welcome this book and receive much benefit from it. Click on image above (or here) to download the Table of Contents, Introduction (which gives chapter surveys) and Index.